Since 2010, Project Success has worked hand-in-hand with Marcy Open School students to produce and perform their annual school musical. 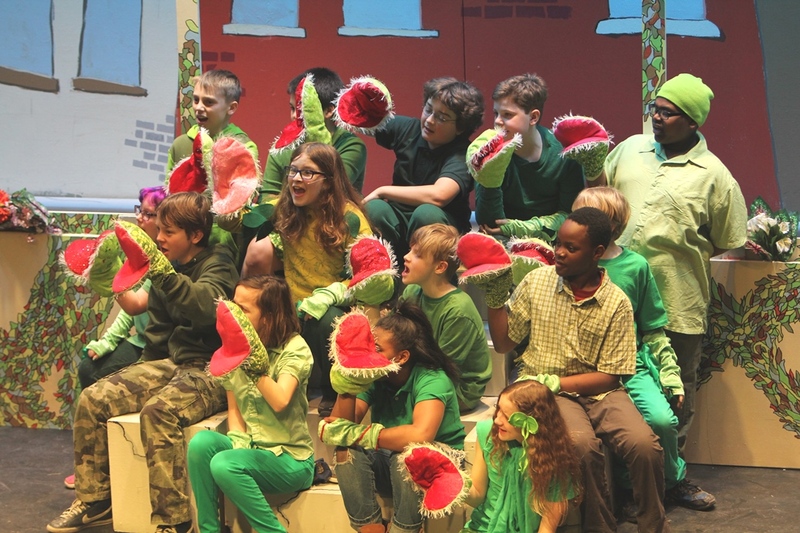 Working hand-in-hand with students at Marcy Open Middle School, Project Success has produced yearly school musicals since 2009, including: You’re A Good Man Charlie Brown, Once On This Island, I Am, Seussical, Into the Woods, and Little Shop of Horrors. Up to 80 students each year have worked in front of and behind the scenes for eight weeks every day acting, dancing and singing with professional artists and working with high quality sound, sets, lighting and costumes. 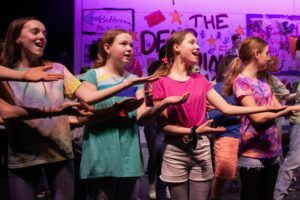 Each year, parents, teachers, students, district leaders and community members pack the house for performances and are left inspired, entertained, and impressed by the talents and efforts put forth by each performer and crew member. This one-on-one contact between local artist educators and students, and the experience of the musical performance itself, is one of the key ways in which Project Success helps students build confidence, gain new experiences, and learn more about themselves and each other through the power of theater.